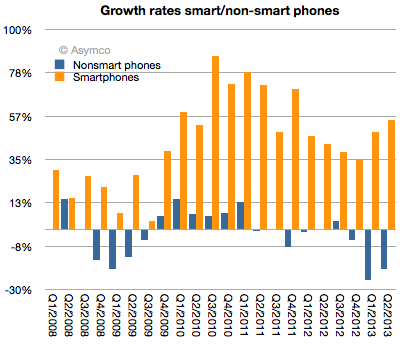 Tracking the mobile phone market hasn’t been getting any easier. The lack of published data from many incumbents (including the largest) is compounded by the lack of visibility into entrants. It’s not just ZTE and Huawei which are up-and-coming, but companies such as Lenovo, Xiaomi and Yulong make up an increasingly large part of the overall market. (Not to mention BBK, Meizu, OPPO and TCL). Canalys suggests that China’s top five vendors make up 20% of the world’s smartphone shipments. This is mostly due to the rapid rise of the category in China and the advantages local vendors have in that market. Absent this large segment, a complete picture of the market is simply not possible. Nevertheless a fuzzy picture of the entire market can be still be painted. 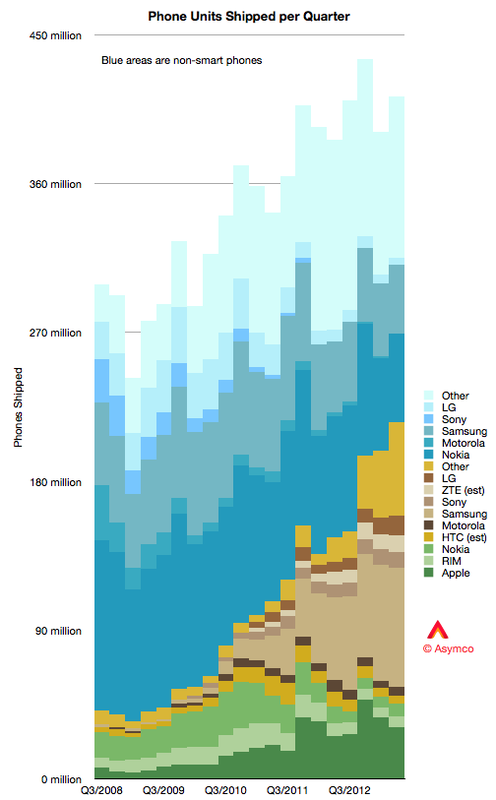 What I see in this graph is that competition with smartphone non-consumption is still fierce. 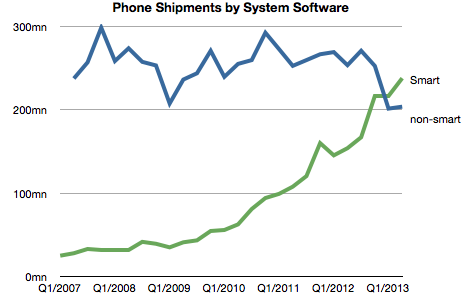 Non-smart phones are still shipping at the rate of about 200 million per quarter. Not as many as the smartphone units, which are nearly 225 million, but their numbers have not so much plummeted as not risen. Smartphones meanwhile have expanded greatly. The other observation is that these non-smart units are increasingly being made by no-name brands and sell in emerging markets through grey markets. Nokia’s non-smart business is contracting and Samsung, the only other branded vendor with any material non-smart volumes is fleeing upmarket. Consider that India, a market of 700 million users purchased barely 9 million smartphones last quarter. Contrast that with the Chinese market where 1.1 billion users purchased 88 million. The preference in India is for super low cost products of dubious progeny. In other words, the preference in India is about what it used to be in China two years ago. Will India follow China out of non-consumption? It’s hard to say. 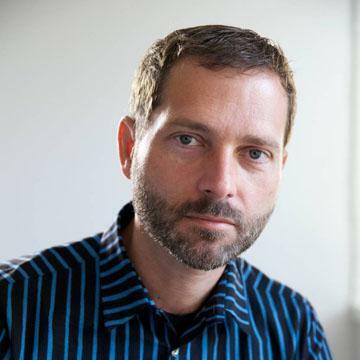 There are many factors beyond market forces at work. Although that’s true in most phone markets, India is particularly byzantine. Not only is distribution different (retail only and very fragmented and multi-level distributed) but there are few 3G users and networks are notoriously difficult to scale. For a vendor trying to apply a global strategy in India the odds are very poor indeed. And there are few vendors more uniform in their approach than Apple. The Indian market is not yet “cracked” as Tim Cook would say. One wonders if it ever will be.